Archangel Michael has numberless guardian angels at his command. Their job is to protect the children of God from physical and spiritual dangers. 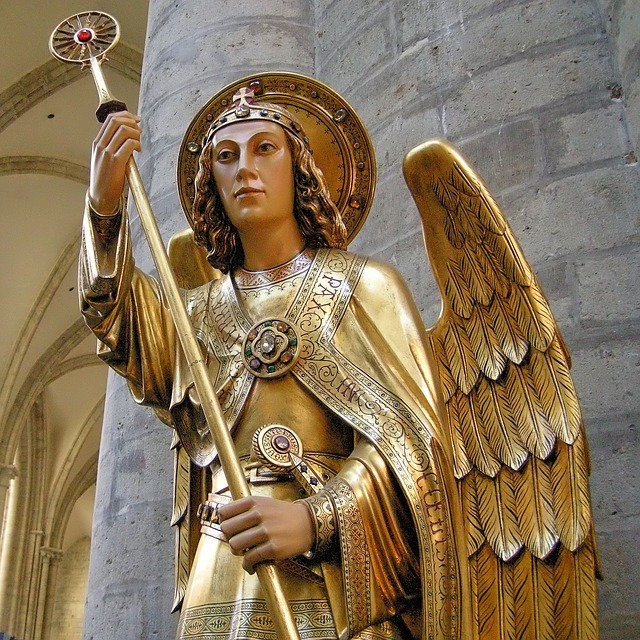 Give this protection prayer to Saint Michael the Archangel and his guardian angels for the protection of you, your family and friends, your finances, and your spiritual practice. Be our protection against the wickedness and snares of the devil. May God rebuke him, we humbly pray. And do thou, O Prince of the heavenly host, by the power of God, bind the forces of Death and Hell, the seed of Satan, the false hierarchy of Antichrist and all evil spirits who wander through the world for the ruin of souls. And remand them to the Court of the Sacred Fire for their Final Judgment. 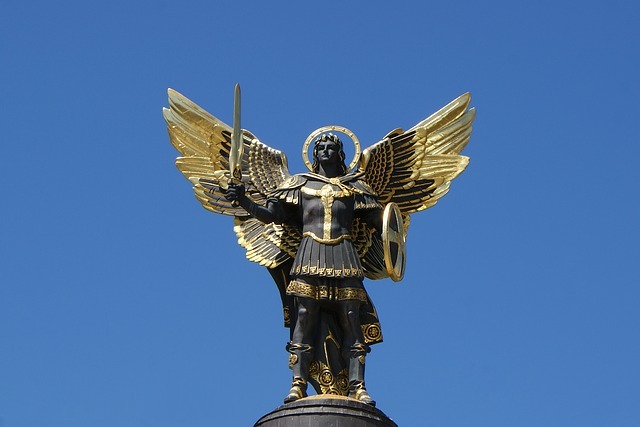 Following are two simple spoken prayers (called decrees) to Archangel Michael that you can recite at the beginning of your spiritual devotions. You can give them every morning for the protection of yourself and loved ones. At night you can give them for protection while your soul travels out of your body to the etheric retreats of the ascended masters. In the name of the beloved mighty victorious Presence of God, I AM in me, and my very own beloved Holy Christ Self, I call to Archangel Michael and his angels. I command you to (here you insert your personal prayer). I ask that my prayers be multiplied for the consolation of all souls who are in distress. I thank you and I accept it done this hour in full power, according to the will of God. Lord is used here as a term of honor and does not connote equivalence to the Godhead. And in full faith I consciously accept this manifest, manifest, manifest! right here and now with full power, eternally sustained, all-powerfully active, ever expanding and world enfolding until all are wholly ascended in the light and free! Do you want to know what the fate has prepared for you? 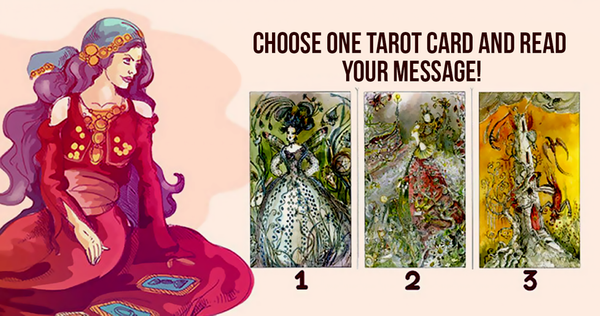 Then pick a card!